Official Passengers banded together and stormed the cockpit to take back the plane from the hijackers. 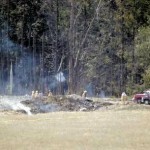 A struggle ensued and the plane went in to a nose dive, crashing in Shanksville. 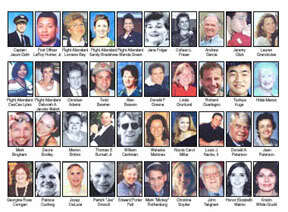 Theory WTC 7 may have been the target of Flight 93, which crashed in Shanksville. The Remote Control (RC) of the Cabin Air Pressure Outflow Valve (CAPOV) may have failed to let the air out and suffocate the passengers and Duped Actor Hijackers (DAH) who thought it was a regular hijacking. The passengers rallied and stormed the cockpit. When the Remote Control operators saw this on the CCTV, they steered the plane into a dive, and possibly triggered the explosives as well. It is also possible that Flight 93 was intended for another building in Washington DC. There was a Flight 43 that failed to take off, when there was engine trouble. 5 mysterious men left the plane and were not seen again. So Flight 43 may have been intended for WTC 7.